The knee is the largest and most complex joint in the body. The structure of the knee consists of many components, including bones, ligaments, tendons, cartilages and a joint capsule. The knee is a synovial joint, meaning that it is surrounded by an articular capsule that separates the joint cavity, which is filled with synovial fluid. Its main function is to connect the femur (the thigh bone, which is also the longest bone in the body) to the tibia (the shinbone, which is the second longest bone in the body). The knee is part of the biomechanical circuit which also includes the pelvis, hip, the upper leg, the lower leg, the ankle and the foot. This important joint bears most of the body’s weight during walking and standing and can be susceptible to injury. Fortunately, there are also many effective ways to prevent knee pain. 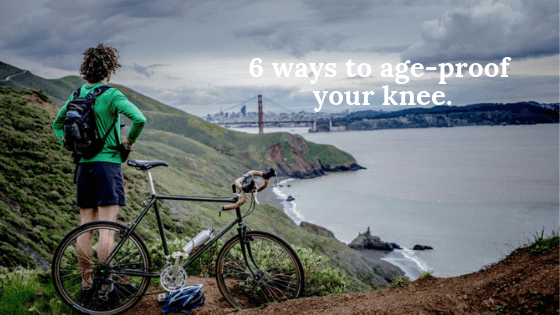 Here are some tips to keep your knees feeling great and avoid knee injury. Movement is extremely important for knees. When you move a joint, it releases synovial fluid, its own natural lubricant, which keeps the joint moving smoothly. Warming up prior to exercise is important in many ways, and helps to prevent injury and increase blood flow to muscles and joints. Regular stretching exercises can help to prevent injury and pain. Stretching can also help to increase the knee range of motion to help maintain their full functional mobility. The knee’s range of motion typically decreases as we age, and increasing the range of motion can help to prevent or to treat knee pain. There are many online resources and tutorials describing knee stretching techniques. It is also typically recommended to consult a physical therapist for guidance on specific exercises targeted to increase the knee range of motion. Strengthening the muscles involved in knee movement stabilizes the joint and prevents injury and overuse. The quadriceps and the vastus medialis oblique (VMO) muscles are important in keeping the knee straight and absorbing the impact from walking and other weight-bearing activities. The strengthening of these muscles can help to maintain knee joint stability and prevent pain. In addition, strengthening of the hamstrings, gluteus muscles, and core muscles will also help to relieve pressure off the knee joints to keep them healthy and pain-free. Some great exercises for knee strengthening include straight leg raises, heel raises, and wall squats. It is best to consult a physical therapist to evaluate your needs and construct a specific plan for your knee strengthening program. In terms of biomechanics and exercise, the word impact refers to the force exerted onto bones and joints by a particular physical activity. High-impact sports include activities which exert a lot of force on the body’s weight-bearing joints and often involve both feet leaving the ground at the same time. High-impact activities involve sports and activities such as running, basketball, soccer and jumping jacks. High impact activities such as running, basketball, soccer and jumping jacks can be damaging for the body’s joints. 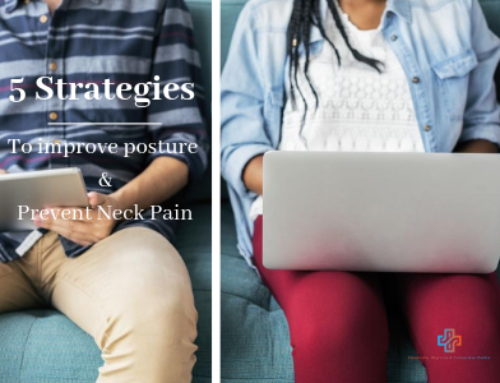 Although our bodies can get certain benefits from high-impact exercises, such as the strengthening of muscles and bones, too much of high-impact activity can be damaging for the body’s joints and can lead to wearing and trauma. In contrast, low-impact exercises involve less force being exerted on the body, which protects the knees and other weight-bearing joints. Low-impact exercises, such as swimming, yoga and bicycling, can improve cardiovascular fitness, and increase blood flow to the knee cartilage, to strengthen knee muscles and promote joint health. Low-impact aerobic exercises are also a great way to increase joint flexibility and reduce existing knee pain. Knee pain is one of the most common complications of being overweight, since any excess weight you carry adds strain on your weight-bearing joints, including the knees, causing wearing and damage, and eventually leading to chronic pain and osteoarthritis. According to medical research studies, the risk of developing osteoarthritis for women who are overweight increases fourfold in women, and up to fivefold in men.Calculating the body mass index (BMI) is a way to measure body fat based on height and weight in adult men and women. You can calculate your BMI by dividing your weight (in kilograms) by the square of your height (in metres). A BMI of 18.5-24.9 is considered to be healthy, while a BMI of 25-29.9 is considered to be overweight. The best way to maintain a healthy weight is through a combination of healthy diet and regular physical activity. The right shoes can go a long way in preventing knee pain and injury. Since knees are on the receiving end of the body’s weight, protecting them by wearing proper-fitting shoes is very important in protecting the joint and preventing injury. Shoes such as flip flops, ballet flats, high heels and pointed-toe shoes typically do not provide sufficient arch support and cushioning for the foot. Cushioned insoles can reduce the stress experienced by your knees. Shoes with adequate arch support that fit well, such as athletic or walking shoes, are important in maintaining the proper balance of biomechanical forces acting upon the foot and the knee. In addition, custom orthotics can be used for additional arch support in individuals who have flat feet and/or foot pain. There are lifestyle changes you can implement to reduce the risk of osteoarthritis, a disease that is one of the most common causes of knee pain. 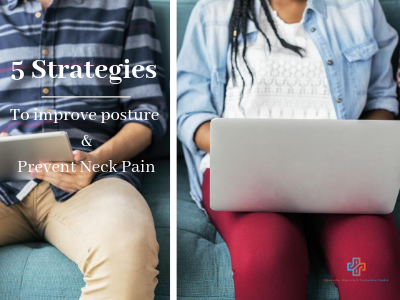 If possible, avoid long periods of repetitive motions, and talk to your medical practitioner about reducing your risk of osteoarthritis if your job involves long periods of kneeling, twisting, lifting and walking. If you’ve been diagnosed with diabetes, abnormal metabolism of carbohydrates and high blood glucose level, you are at risk for developing osteoarthritis. Simiple lifestyle changes such as maintaining a healthy diet and keeping diabetes under control by regulating glucose levels.